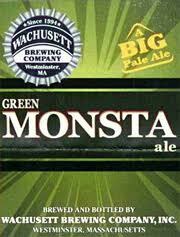 Well-balanced medium-bodied pale ale salutes Boston Red Sox colossal leftfield wall. Biscuit-y barley toasting and bright orange-apple tang counter phenol juniper-hopped alcohol burn. Sugared malts expand pleasant sweetness above calm grapefruit peel bittering and wet wood windup.